WELCOME TO STRATEGIC PRINT SOLUTIONS LLC. 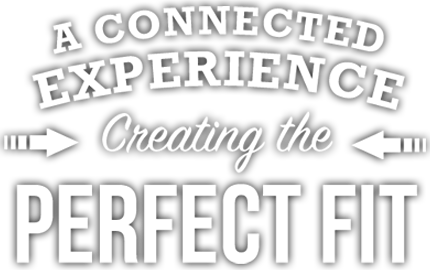 Strategic Print Solutions LLC was designed and created to enhance the customer experience. We are not defined by conventional job descriptions, we are neither print brokers nor singularly captive sales employees. We are an independent, contract sales group… also known as manufacturer’s representatives. The largest printers are getting larger. They try to command the marketplace with standards that may not be compatible with your needs or company culture. The mid-sized printers have almost all been squeezed out of existence. The successful printers in today’s market are niche focused. Nimble, efficient, and customer driven. They have great value to offer the market. But, they need the additional resources of an experienced professional sales and marketing team to assist their existing sales efforts. Strategic Print Solutions LLC brings the competitive expertise of these niche organizations to you… and brings you, to them. Strategic Print Solutions LLC is contracted with a dynamic group of premier printers, paper resources and distribution professionals, all chosen for their expertise in specific areas of the publishing industry. By design, there is some redundancy and overlap, but when the capabilities of our portfolio partners are taken in total, we are able to compete well, against the largest entities in the marketplace. The Strategic Print Solutions LLC sales professional conducts business ethically. We support our partners. They are of value to you and to us. We don’t actively pit one partner against another. We approach your needs collaboratively. We want to understand the details and nuances of a project, to focus on your budget and beyond… to match you with the “best” partner for that project. To create the “perfect fit”. Strategic Print Solutions LLC was created to service the needs of the greater publishing community, to assist in bringing their content to the marketplace in the most efficient way possible. This community is diverse, and communicates with its readership using many different products and channels. Strategic Print Solutions LLC can accommodate all of these different modes. Strategic Print Solutions LLC has a robust manufacturing and distribution platform. There is horsepower and redundancy, product and geographic focus. When taken in totality, the platform offers publishers as much or more horsepower and thruput than any of the industry’s largest players, but without the red tape. We can do what you want, where you want, and when you want. Our focus is all about serving you. Special interest magazines, general consumer, city regional publications, visitor guides, association publications, tabloids-saddle stitched and adhesive bound, digest-saddle stitched and adhesive bound, and, all frequencies including weekly. Consumer direct mail, business to business (capable of binding up to 2 1/8”), slim jim and digest sized with wafer sealing to qualify for letter rate. Trade, scholarly, coffee table, super short run (soft cover and case bound ), comics and graphic novels, directories, and all mechanical bound products. Business collateral, brochures, maps, coupon books, newsletters, calendars, posters, direct mail cards, loyalty programs, and welcome kits, 1:1 marketing. 1, 2, and 4 color coldset. Monthly, weekly, and dailies. Programs include comail for publications and catalogs, commingle for letter products, postal verification at plant for city regional drop shipping, newsstand distribution, firm bundling, solo local entry, LTL, and conventional freight. Digital editions with analytics; data, content, and image storage; production productivity software; customized production estimating tools for magazines. David is a very knowledgeable, creative person who truly understands the uniqueness of the print industry. He is a wonderful problem solver and consistently acts with credibility and reliability. I have known David professionally for 10+ years and I can sincerely say that he truly cares about his clients and their needs. David is professional, knowledgeable, dependable, resourceful and can be counted on to provide solutions that resolve issues and are cost efficient. I have worked with David for many years. He provides a very personal level of customer service which in my opinion is critical. David is always looking for ways to provide additional value and reduce costs. I highly recommend David and look forward to working with him in the future. David’s attention to detail and superior customer service have made the difference in choosing and keeping his company’s services. His integrity and straightforward approach to business challenges make him the consummate professional. Great business partner! been a great partner on our behalf. David’s outstanding knowledge of the printing industry makes him a tremendous asset to his customers. He’s helped us save on both manufacturing and mailing while presenting new ideas and educating us along the way. He’s a real pleasure to work with and we look forward to continuing our relationship with him as our catalog business evolves. You’re not a print broker? What makes you different than a print broker? Generally speaking, a print broker will do only minimal discovery of those companies that they request pricing from. They don’t care about a companys focus, or culture, or fit, they want to maximize the greatest margins, to make the most money on a project. Brokers are transactional. They may have a relationship with you, but what about a relationship with the plant and its ownership? Strategic Print Solutions LLC conducts substantial research into a company and its facilities, BEFORE any business is conducted. We do pricing studies, see samples, interview company principals, tour facilities, and discuss markets, culture compatibility , and their goals. All before doing business. Then, we sign a comprehensive agreement outlining all facets of our ongoing relationship. Our involvement isn’t transactional, not with our customers, nor with our print partners. Strategic Print Solutions LLC has a focus on continuity business, and the continuity of relationships. Though there is some redundancy within our manufacturing and distribution platform, all our partners have a market niche and manufacturing focus. They almost never compete against one another. Our manufacturing platform is comprised of a premier group of small to medium sized niche focused printers. Upon identifying the full scope of a project, the perfect print partner often becomes evident. When we submit a proposal to you, its conveyed on our print partner’s letterhead, operational relationships are established between the printers staff, and you. There is no intermediary. How can you be price competitive? Since you arent a direct employee, will I be paying a price premium? As mentioned before, the research done prior to becoming a Strategic Print Solutions LLC print partner is extensive. This includes an evaluation of the companys focus and specialty, equipment, and procedures, to make sure they are the most efficient possible. All pricing studies are continual and con rm market competitiveness. Because Strategic Print Solutions LLC representatives are not direct employees, our print partners are able to maintain margins with lower costs. The proposals you receive are always at market levels, or, in many cases better. Can you provide me with all of the services I can get elsewhere? 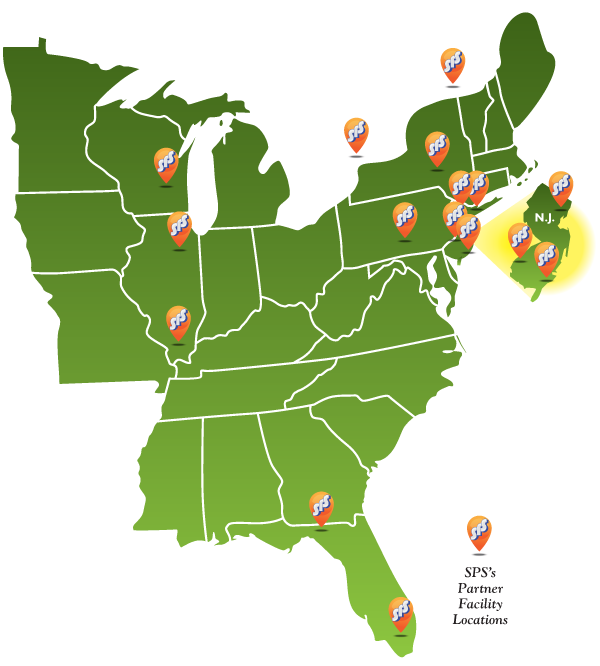 All of the Strategic Print Solutions LLC print partners are “full service” within their market niche. Along with great pricing, high fidelity reproduction, and proactive customer service, the printers know your business. Your needs t what they do every day. They have been selected because they are “the perfect fit” for what you need. Why do I want to buy from you? PS representatives are experienced and knowledgeable. They understand the multichannel nature of the greater publishing community; how your specific needs dovetail into the manufacturing and distribution process. We listen, collaborate, and focus on ways to save your time and your money, all while exceeding your expectations. Additionally, we try to share some new perspectives ( and ideas ), to allow the new technologies to create new streams of revenue. We want to create a real partnership… and real value. Help us match you with the “best” print partner for your project.